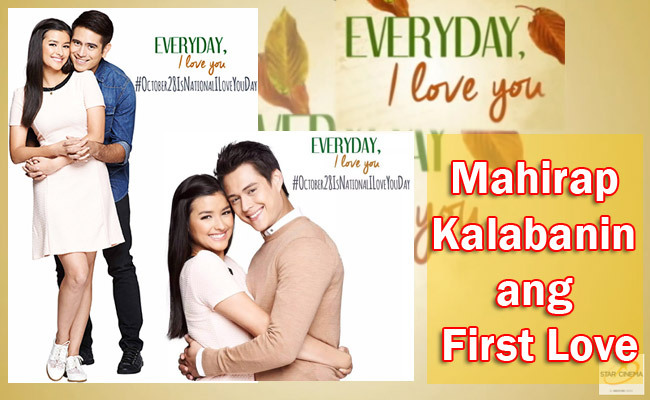 Star Cinema had just recently released the official trailer of ‘Everyday, I Love You,’ starring Liza Soberano and Enrique Gil, making fans excited to once again see the onscreen couple find their forever. The LizQuen’s 2015 romantic-comedy movie is a story of Ethan played by Gil who had been focused on achieving his dreams as he thinks love is just life’s hassle and Audrey who is waiting for her boyfriend Tristan to wake up from coma. The two met in unexpected circumstances when Ethan went in Bacolod for his TV company looking for a fresh face. On the way, his attention was caught by Audrey while she was riding her motorbike. Audrey has been waiting for Tristan played by Gerald Anderson, but soon she got into a dilemma as Ethan becomes another love interest. Ethan and Audrey started to work together and soon they begun to fall for each other. However, Ethan knew that it would be hard to compete against Tristan as he is Audrey’s first love. Soon, Tristan woke up giving Audrey her dilemma as to who will she choose. In a press interview, Soberano described her character as an old soul while Enrique’s was more into a fast paced life. Ethan grew up with his dad as his mother left them for another man, giving him a reason to doubt love until he met Audrey. The movie will hit the cinemas on October 28.